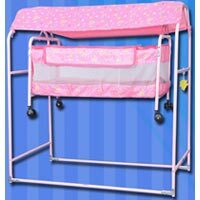 Mattress Size : 183 L. x 91 W. Cms. 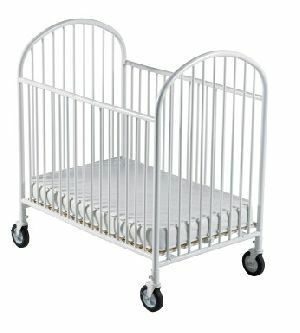 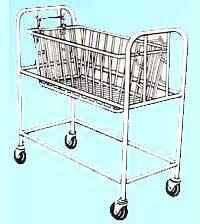 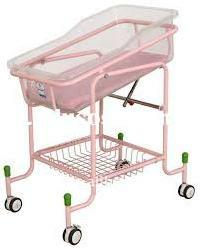 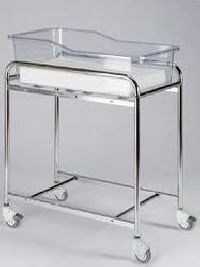 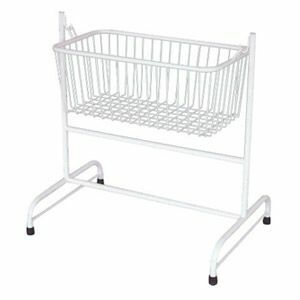 Baby Crib: Trolley manufactured from Epoxy Powder Coated tube mounted on four castors 75mm. 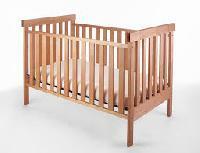 Crib manufactured from plexiglass. 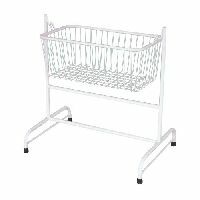 Size : 90x50x80cm. 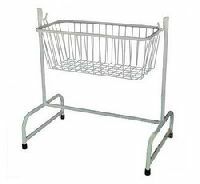 GHF47.03 Available in Stainless Steel GHF47.04 Available in Aluminium. 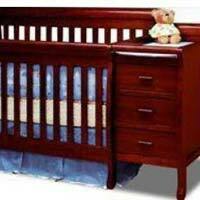 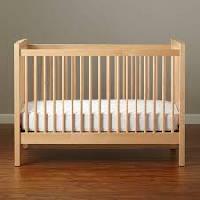 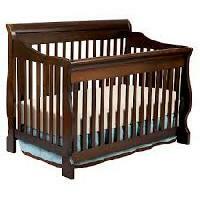 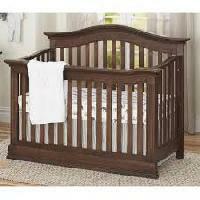 Lotus Biomed is one of the eminent manufacturers and suppliers of a wide range of Infant Cribs. 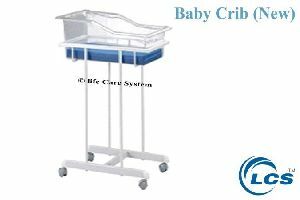 Offered in sturdy construction, these cribs are mounted on castors can be used along with warmer stand, wall mounted warmer, phototherapy stand and as a separate bed for neonates. 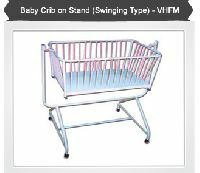 Further, these are provided with stainless steel baby tray with transparent slot to incorporate the facility of under surface photo therapy. 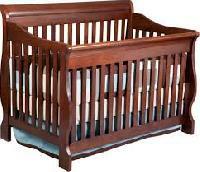 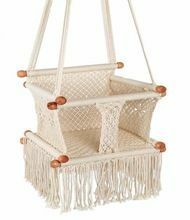 Product Details: Infant Cribs 1. 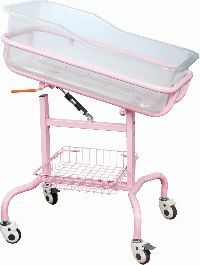 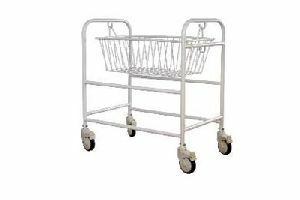 Sturdy mobile crib mounted on castors can be used along with warmer stand, wall mounted warmer, phototherapy stand & as a separate bed for neonates 2. 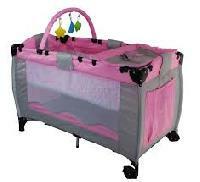 Easy access of an Infant from all sides due to clear acrylic collapsible side panels.